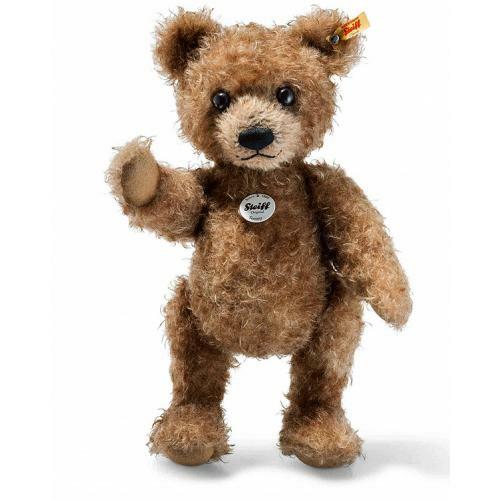 Steiff Tommy Teddy Bear is from the Steiff Classic collection and is hand made in beautiful brown tipped mohair and wears the famous stainless steel button in ear and yellow ear tag. Tommy Teddy bear is an eye-catcher in any collection of Steiff teddy bears - he has friendly eyes, an impish smile and dishevelled fur. 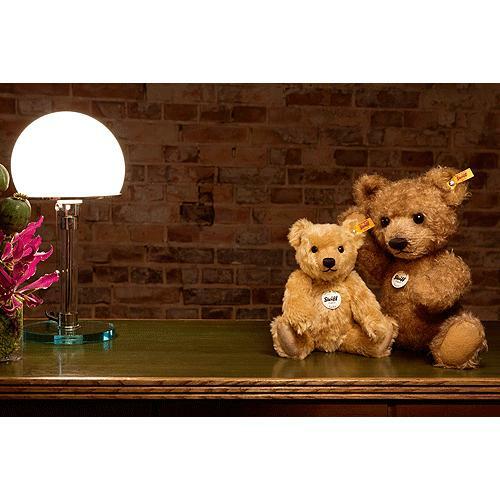 The 38 cm teddy bear has brown tipped fur made of the finest mohair. Besides the use of the best materials that went into its making, Tommy Teddy bear can sit and stand beautifully since it has five joints and its head, arms and legs are moveable.